The Jigged Flexi Stone from Rainy's flies is a killer stonefly imitation. The Jigged hook and tungsten bead get this "Pat's Rubber Leg Like Fly" down to the bottom but since it rides hook up you don't lose these babies very often. 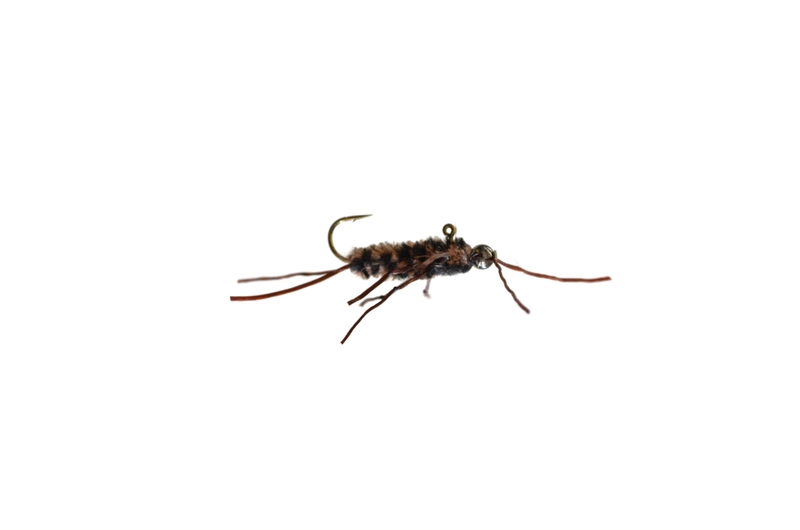 Use these as your bottom fly with a smaller pattern above it.